Sale - the expiration date until December 2018. Anti-wrinkle cream, Saffron Papaya nourishes, moisturizes and tones the skin, smoothes wrinkles and removes age spots. Natural ingredients included in the cream are natural antioxidants. Saffron has a strong rejuvenating effect, stimulates intracellular metabolism. A cream that contains saffron, protect the skin, prevent inflammation, make it velvety and soft as a baby's. Papaya cleanses, moisturizes and tones the skin, stimulates regeneration processes, smoothes wrinkles and makes the skin more elastic. Also Papaya whitens the skin and fights pigmentation, regulates the sebaceous glands. Content: Saffron, calmogra, wheatgerm oil, almond oil, sandal oil, papaya extract. Attention: today in India and abroad known for at least four manufacturers of cosmetics and skin body care, Khadi. We bring only the cosmetics that are produced, in our opinion and the opinion of our supplier in India, plant, which began producing the first and maintained formulas and quality products. 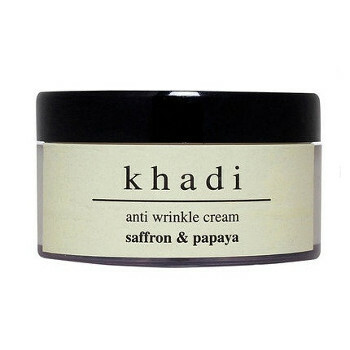 Original name: Anti wrinkle cream Saffron & Papaya Khadi sale. 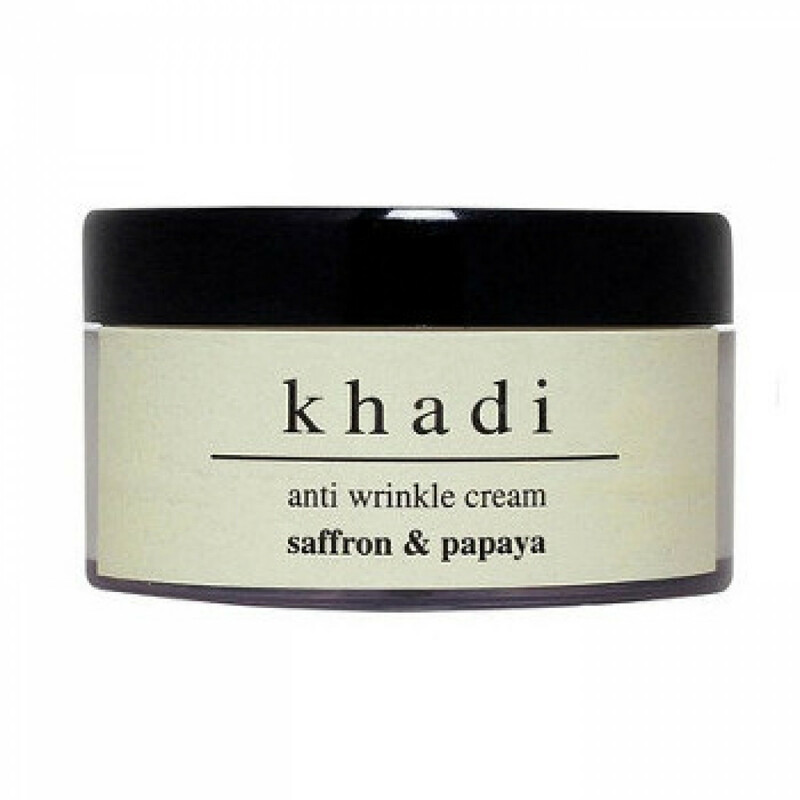 In our store You can buy the original wrinkle Cream, Saffron Papaya Khadi at the best price!